Quilters reach out to others in times of joy as well as in times of sorrow. 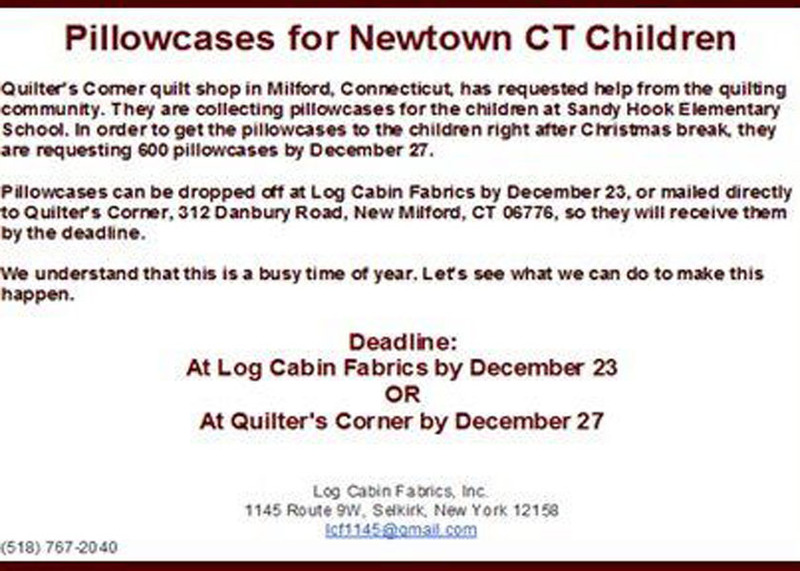 In the aftermath of the horrible tragedy at Sandy Hook Elementary School last week, here is a "Plea for Pillowcases" for the children in Newtown, CT. 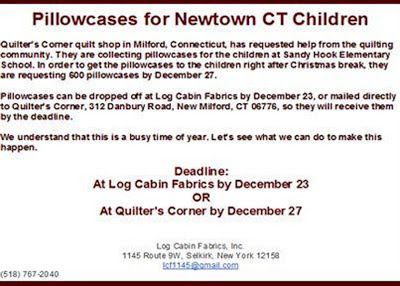 It is being coordinated by two quilt shops in Connecticut and New York. Pillowcase made with Bugalicious fabrics from Blank Quilting. Quilter's Corner, 312 Danbury Rd., New Milford, CT 06776. Yes, this is a busy time for everyone. But it's also the season for giving to others. Whatever you can do to contribute, your efforts and prayers will surely be appreciated. Thanks, Ginny. 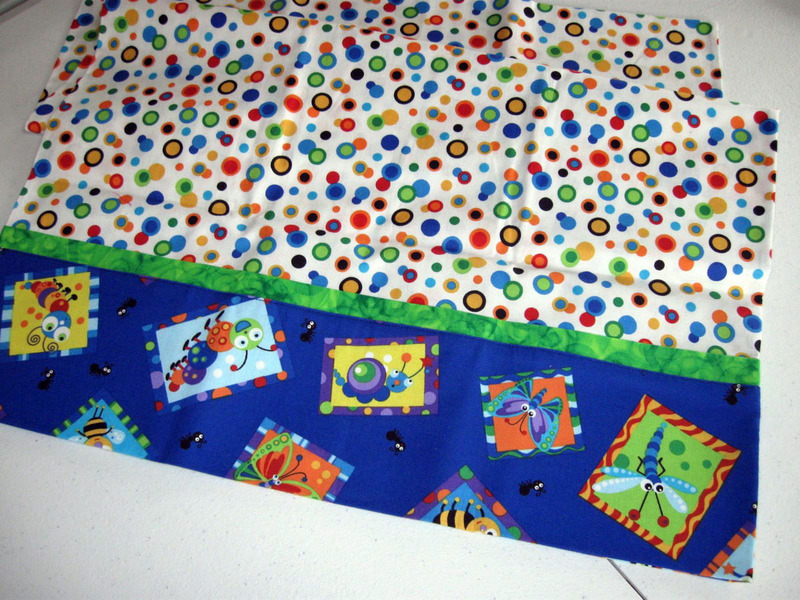 Bugalicious is a cute fabric line. I hope they get lots of pillowcases. Quilters are always so willing to reach out and provide comfort through fabric, sewing and quilting.